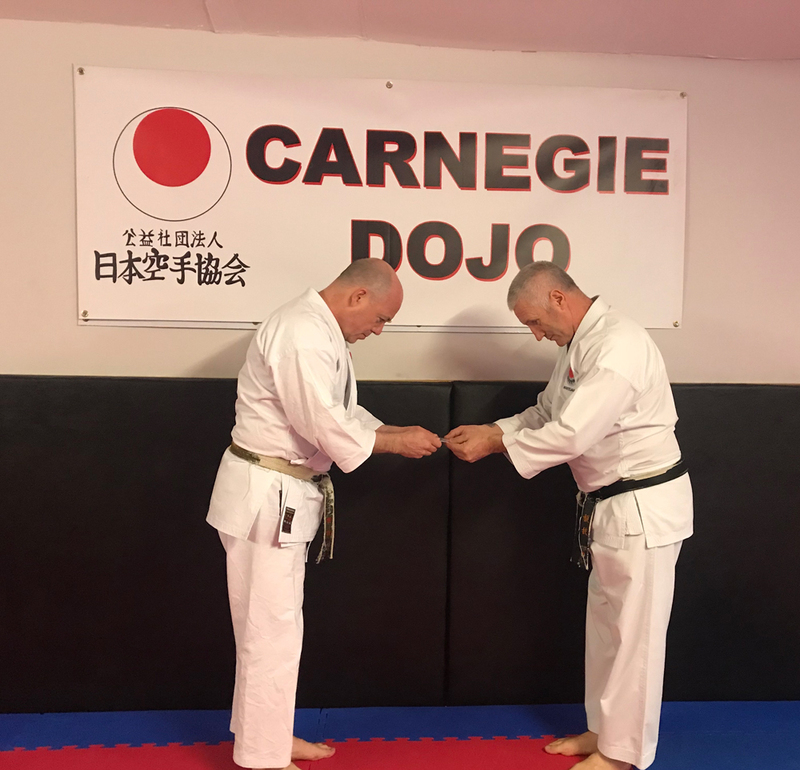 Many congratulations to Sensei Alan Bown and Sensei Stuart Jamieson who successfully sat and passed their JKA Examinations at the JKA England Gasshuku held over the weekend 4th to 7th May 2018 at the K2 Arena. 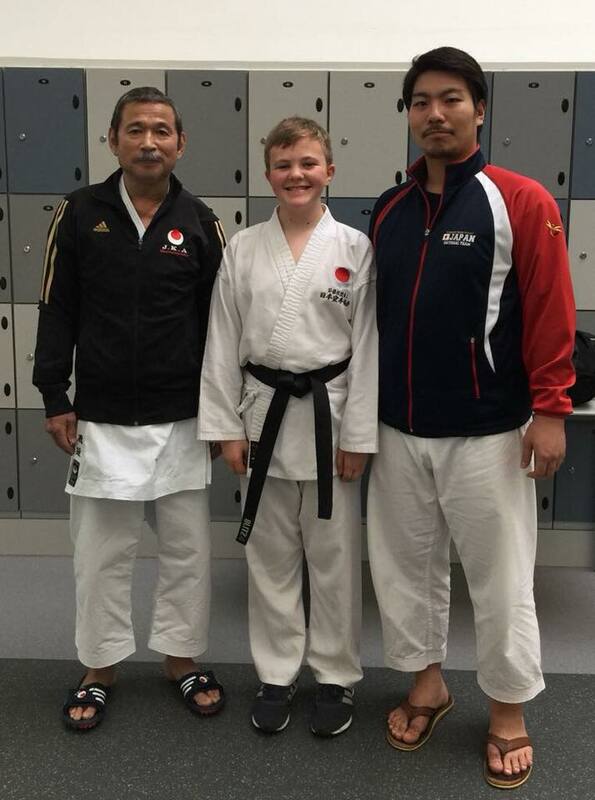 Congratulations to Stuart Jamieson who recently sat and passed his JKA D level Instructors exams at the JKA Europe Course in Belgium under the instruction of the JKA Chief Instructor Master Ueki. These exams are extremely difficult and require extensive study both in theory and in practical aspects. Well done Stuart keep up the hard work. After 6 years of training the hard work pays off as she passes her Dan Grade with Sensei Alan Simpson Chief Instructor of JKA Scotland and Sensei Ohta Chief Instructor JKA England. Well Done Reagan now the journey really begins!!! On behalf of this bunch we would just like to thank everyone who came to our curry night at Apricot. We raised (along with a few eyebrows) £1035 so massive thanks to everyone who came along and bought raffle tickets. Hope everyone had a great night and thanks again. As this is JKA Scotland 10th year it has been decided to have a party night on the Saturday of our Gasshuku in October which has now been confirmed as being over the weekend of 20th-22nd October to be held at Dunfermline High School. Please find attached the application forms for the Kata Course on the 2nd September with Sensei Ohta. 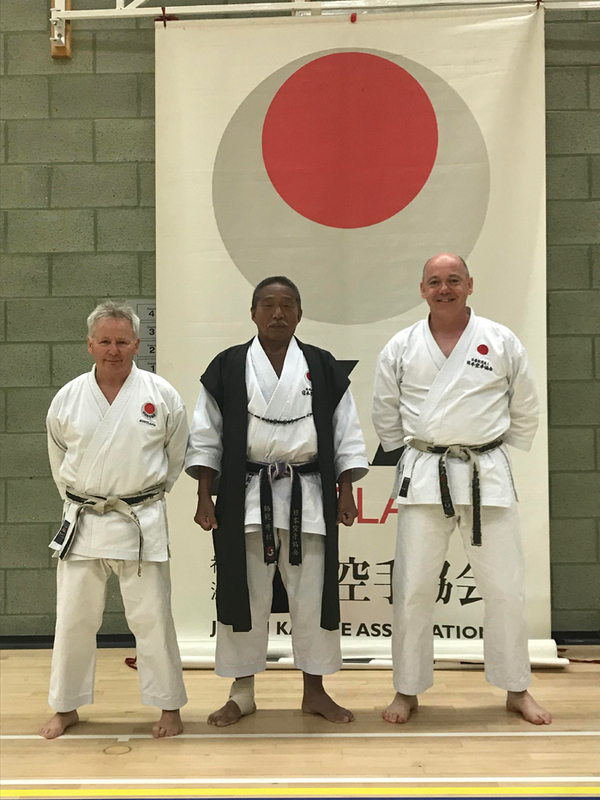 This will be another excellent opportunity to gain knowledge and understanding of JKA Karate from Sensei Ohta and the JKA Scotland Technical Committee and should be essential for any student wishing to enhance their Karate.